A shortage of steel during World War I prompted Congress to appropriate money under an Emergency Fleet bill to have 24 concrete ships constructed for the war effort. The Palo Alto, the remains of which still rest as a breakwater at Aptos, California, was one of three such concrete ships built by the San Francisco Shipbuilding Co. at the U. S. Naval Shipyard at Oakland in 1918. The Palo Alto and a sister ship, the Peralta were built and designed as tankers. While the hulls were launched and fitted out, they never went to sea. Another sister ship, the Faith, was the only one of the three that was ever used. It carried cargo until 1921 and then was sold and scrapped for use as a breakwater in Cuba. The war ended by the time the Palo Alto and the Peralta, were finished. 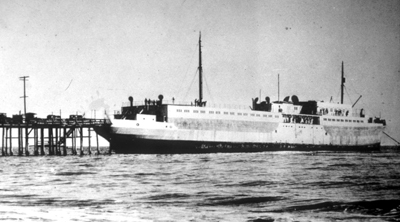 The Palo Alto remained docked at Oakland until 1929 when the Seacliff Amusement Corporation bought the vessel. The company towed it to Seacliff State Beach at Aptos where it was sunk in shallow water at the end of a pier. The ship was remodeled as a unique amusement park complete with a café, heated swimming pool, a dance floor and a series of carnival concessions on its decks and within the superstructure. The concept of an amusement park on an abandoned World War I concrete tanker hull never caught on. There were rumors that illegal gambling and alcohol was being served during prohibition, but even that didn't save the project. The company went broke after two years. The Palo Alto was stripped to the abandoned concrete hull that remains on the spot to this day. 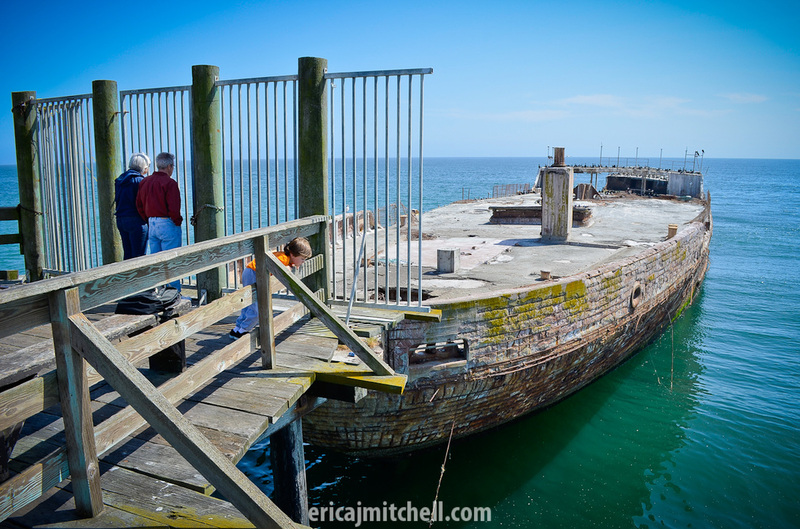 The hull has been declared unsafe for the public to explore, although it serves as an artificial reef for marine life. The force of the ocean has not been kind to the wreck. In 2005 it was discovered that the old hull was leaking oil. This involved a $1.7 million clean-up project. Since then winter storms have cracked the concrete hull in three parts, which in turn are twisting away from one another and showing signs of breaking up. The Peralta also is serving as a breakwater. It is owned by Pacifica Papers and is one of the concrete ships built during the war. The vessels are still afloat on the Powell River in British Columbia, Canada, all serving as a breakwater for the pulp and paper mill. The concept of building concrete ships was not new in 1918. Frenchman Joseph Lambot is believed to have manufactured the first concrete vessel, a dingy, in 1848. It was featured in the 1855 World’s Fair in France. Then in the 1890s, an Italian engineer, Carlo Gabellini, successfully built barges and small ships out of concrete. Norwegian N. K. Fougner launched the first ocean-going concrete ship, the Namsenfjord. It’s success prompted the U. S. Navy to consider using concrete in the construction of ships for the war effort. Fougner was used as a consultant in the design of the ships built at San Francisco.